Trade union giant Cosatu has officially thrown its army of 300,000 Western Cape workers behind the election campaign of the ANC. About 800 Cosatu members gathered at the Good Hope Centre in Cape Town on Wednesday as a show of support for ANC attempts to win back the City of Cape Town from a multi-party coalition and retain the reins of the Western Cape government. 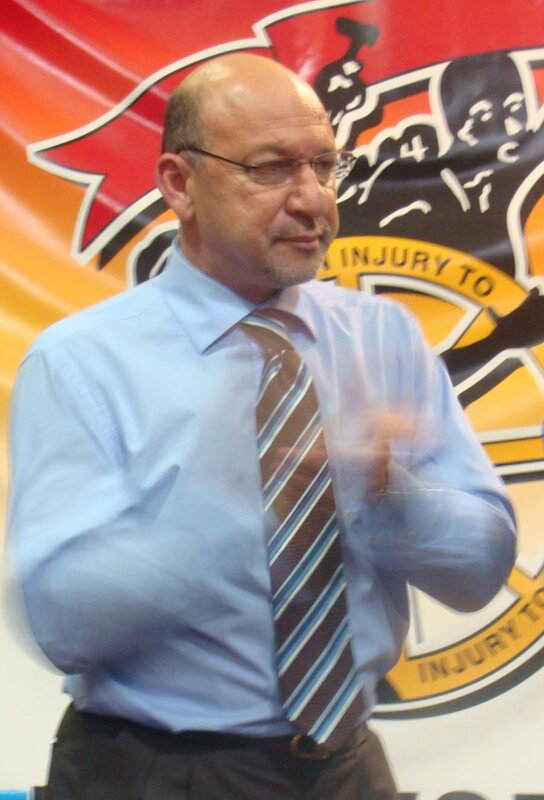 ANC big names such as Finance Minister Trevor Manuel, Labour Minister Membathisi Mdladlana and Western Cape premier Lynne Brown attended the event. “We must unite and have one word so we can put Zuma as president and so Cape Town is ours and the Western Cape ours,” Mdladlana told a sea of singing and dancing Cosatu members, most of whom were donning red t-shirts. Manuel, who took the stage to the singing of Umshini Wam, Jacob Zuma’s theme song, told workers they were not alone in facing down economic crisis, factory closures and unemployment. He said workers asked themselves how the economy would affect them. When the factories where they worked closed down, they asked themselves how long the situation would last. Without directly speaking to the economic crisis currently facing the world, Manuel said it was important for workers to sit down and ask themselves how they could help solve the problems that were currently being faced. Mdladlana and Brown focused on encouraging workers to vote for the ANC. Mdladlana said workers should not be taken for granted and pointed to the achievements of the ANC in the field of labour relations legislation. But workers attending the meeting raised issues that extended beyond electioneering. Khayelitsha resident Fundiswa Mqorwana said workers faced problems of discrimination from employers, low salaries and a struggle to feed themselves and their families. Another problem was that people were losing jobs as a result of privatisation, said Mqorwana. Stellenbosch resident Mzwandile Ketso said workers faced exploitation by management and a lack of respect. Ketso said workers were losing their jobs as a result of the economic crisis, but workers were still facing discrimination in the workplace, with the majority of management positions still being held by white candidates.